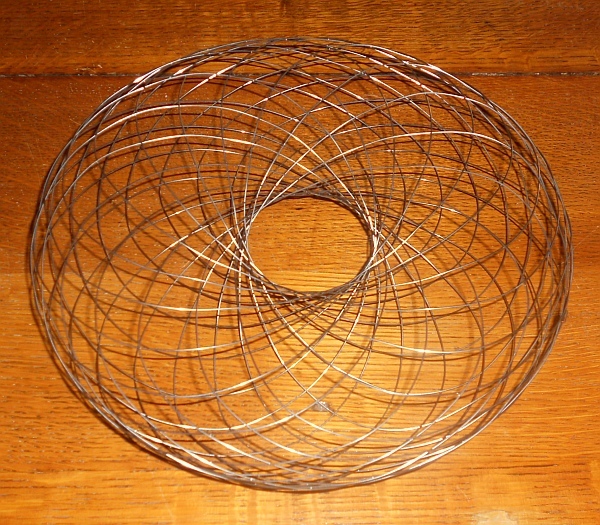 Here is a weaving challenge for serious makers: Can you take a single length of wire and weave it into a 3D donut surface as shown in this image? 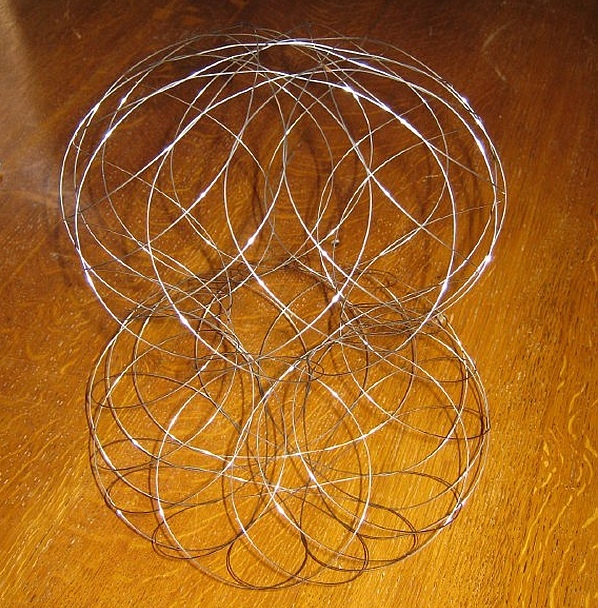 The two ends of the wire are joined with a small crimp, so it is all one continuous loop. This was made by Dmitri Kolzov and displayed at the European Society for Mathematics and Art Conference in Paris this past July. This article first appeared on Make: Online, October 25, 2010.